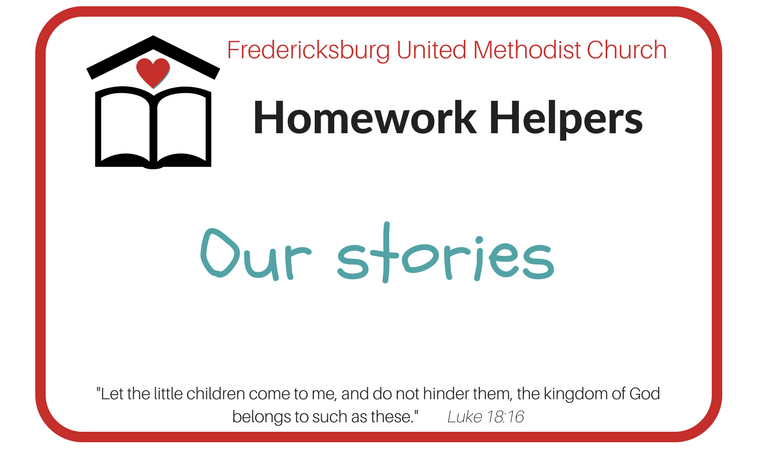 Homework Helpers is a mission established by the SERVE Committee to work with students of English as a Second Language at Hugh Mercer Elementary School in Fredericksburg. These students speak English, but are in ESL to become more proficient. They often need extra help with homework and English practice because many of their parents are not proficient speakers of English. Working with these children is a joy and very satisfying. You do not need to be a present or past teacher. You just need to love children and want to help them to have good, productive lives by having success in school. Tutors work with one to three children at a time, usually one or two. Below are some experiences shared by our members.